Hi everybody, welcome to podcast Episode #4 of Season 2 of the Mobile Alabama Business Podcast. My name is Marcus Neto and I’m your host. This is a podcast about the people behind the business community here in the Mobile area. I know you have a lot of choices when it come to podcasts so I’d like to thank you for spending time with us today. So let’s dive right in with Scott Tindle. Marcus: Welcome to the podcast, Scott. Scott: Thanks for having me. I'm excited to be here. I love what you did with Season 1. Marcus: Yeah. Before we get started in the questions, I wanted to say something to you. The other day you were part of a panel at the Young Professionals Summit that AL.com put on, and you made a statement that if you do not have a dollar amount that you would sell your business for, then you're a small business owner, and you differentiate it between a small business owner and an entrepreneur, and I found myself standing there, because I can't sit for that long period of time, so I was the weird guy sitting, standing over in the corner. 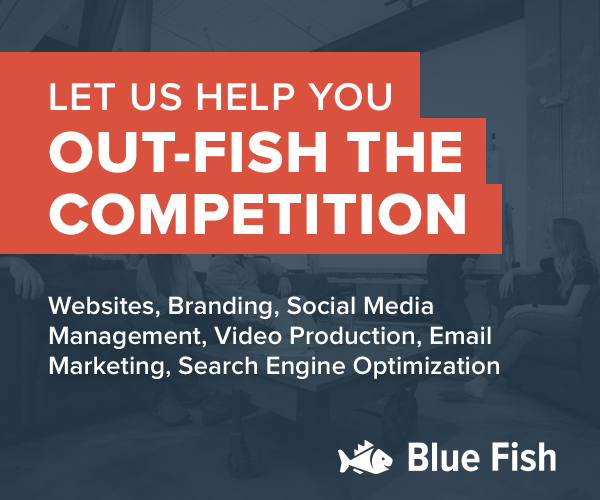 I found myself standing there almost second-guessing like, "Is Blue Fish a ... Am I just a small business owner, or am I an entrepreneur?" Scott: Yeah, and I see that completely not as a value judgment. I mean, there's no ... Being an entrepreneur is really hard. Marcus: I didn't take it that way, either. Yeah. Scott: Yeah, that's kind of the definition of how I want ... When people ask me about, "What does it feel like to be an entrepreneur? What does it mean," and if you want to be an entrepreneur, you probably need to go ahead and think that through on what is that number that you'd be willing to sell the business for. What is the goal? Are you trying to go, just start up to exit, start up to merger, what are you trying to be, and you're right. I believe in bootstrapping as the way to fund your entrepreneurial spirit. Scott: Having a small business is the best way to do that, and I tell people, "When you move from small business owner, and then you get into this entrepreneurial space, the minute you take money from someone else, or the minute you have a business partner, you don't work for yourself. You work for the company. You work for the investor, or you work for your business partners," and that's just something that we always keep in mind, and if you're a small business owner and you're the only person you have to answer to, it's a completely different mindset on how you can go about your day-to-day routine. Marcus: Yeah, you become a slave to the numbers instead of being able to kind of be flexible. Well, before we get too far down that road, though, let's back up, because there's probably a good portion of our audience that doesn't know who you are, and doesn't really know a whole lot about you, so give us some backstory. I know you grew up in Mobile. Where did you go to high school? What did you study in college? You mentioned law, but that doesn't necessarily tell us what your field of study was, and then what was your first business? Scott: Yeah, so the short version is, I grew up out in West Mobile, went to Baker High School, and was fortunate enough to graduate. I was not the best student, but I was always one of the teachers' favorite students. I kind of had this entrepreneurial mindset even in high school. I didn't really understand that that's what it was. I didn't ... Looking back, I can see that that's really what it was. I didn't care too much for grades or books or rules. I wanted to find inefficiencies in the system and ways to be more productive and effective. From there, I went to Auburn University, got a degree in secondary education. Thought I wanted to be a coach and a teacher. Tried that for about 2 or 3 years and realized that was not how I was going to save the world. I had a friend in law school, he said, "You should really give law school a try. I think you'd really like it. It kind of fits your brain and the way you think." I said, "Okay. I don't know any lawyers, but if you say so, I'll give it a shot," so I went to law school at the University of Alabama after having to write a letter begging them to let me in and explaining to them why my freshman GPA was not indicative of the student that they were going to get, and about 2 years in, he was practicing law in Baltimore, and he calls me and he goes, "Can't believe you went to law school." I said, "You talked me into going to law school!" He goes, "Well, you're not going to like it. You're just not going to like it at all," and I said, "Well, I'm in it now," so finished up law school at Alabama, was fortunate enough to get a job here in town, came and practiced law for about a year and a half, and he was right. Law wasn't for me, but I wasn't for law either. I wasn't a particularly good lawyer, and it was one of those things where I just quickly learned like, "I'm not built to do that." Some people are inherently built to do one thing and not the other, and I just, it didn't fit my skillset, and so through that, I ended up going and working with Jonathan McConnell, who you had last season at Meridian Global, and we were able ... This was my first kind of foray into the start-up world. He had started the company about 60 days prior. I was his first employee, and we really had this wonderful opportunity to build a company and get into 13 ports across the world, and really kind of create, what is this going to look like? Get in that creation side. Scott: He is a lawyer as well, yeah. I talked him into going to law school while I was in law school. Scott: It's this giant chain of terrible decisions. Scott: No, I loved my experience in law school. I had such great relationships that built out of that, and learned skills that really I use every single day in a problem-solving capacity. Marcus: I'm going to pause you from answering the questions, question, for just a second. I oftentimes tell people that the most important education that I ever got was not my high school or college degree, but rather the first real job that I had was in inside sales, and they had an open-door policy with Sandler Sales Training Institute in Washington D.C. I have no affiliation with them, so whatever. I think there is, actually, a local group that does Sandler Sales Training here, because it's a franchise, but the mindset of a lawyer and the mindset of a good salesperson sometimes are very much aligned, and so it's interesting to me to hear you say that the skillset that you learned as a lawyer is something that you use on a daily basis, and I would imagine, and we're going to get into your current venture, but the research that you have to do, but also being able to talk to people and make a case and do all those things that are really, a great salesperson is going to be able to do. Is that what you were alluding to, or is there something else? Scott: Yeah, I think so. One ... Law school teaches you to be diligent, to pursue something until it's finished, to put your nose down and work hard, and you don't get off at 5:00 kind of thing. Scott: It's the same thing with being an entrepreneur, but you go into the sales thing ... That's exactly right. I tell everybody, "I don't care what you do, you are in sales. Doesn't matter your job. You're either selling somebody your product, or you're selling your boss to believe your pitch to implement what you want to do, or you're just trying to convince your spouse somewhere to go to dinner." Marcus: Yeah, I was going to say, or the pretty girl at the end of the bar to go out on a date with you. Scott: Absolutely. That's your best sales job. Right? Scott: Getting that accomplished. Everybody is in sales. We just got to figure out the best way to match someone's personality with their sales skill. Not everybody can sell the same way. I am not a hard closer. I am very much a, "Let me tell you the wonderful reasons why you should do this product, and then I want you to come back to me and say, 'The food tastes good. How can I have more of it,'" but that's just how I'm built. Some people are very much built to close a hard sale on the front side. Neither way is more proper or correct than the other, I don't think. It's just whatever fits your style. Marcus: Yeah, but you were telling us about being the first employee at Meridian, and so what was your first business? Was it ... I was going to ask you a question about Shark Tank. Was that really your first foray into starting something of your own? Scott: I think my first foray was when I was in eighth grade, stealing my dad's cigarettes and selling them to a classmate. I was the wholesaler, and he was the distributor to the kids of the eighth grade class, but yeah, getting into a real business, Tie Try was our business. It was like Netflix for neckties, and I started that while I was at Meridian, and I partnered up with a guy who was in my law school class, and that was really my full-fledged jump-start in the start-up world. Jonathan had his start-up, but this was our first one, and we'd learned just some tremendous lessons on self-promotion, and selling your product, convincing people that this was something worthy of their time, and, I tell people all the time, you don't have to create something from scratch. All we did was, we took the Rent the Runway model that women were using for dresses and applied it to neckties. It's not like we had to fabricate some new product. We just applied it to something new, because we were both coming from that world where a lot of friends of ours were attorneys, they were wearing ties every day, they were unsatisfied with the other options. Scott: It gets expensive in a hurry. Scott: We found that we had 20 ties in our closet, but we were wearing the same 4 or 5 over and over again, and just didn't make sense, so we started calling friends and said, "What do you think about this? Would you be interested in a product like this," and they said, "Not only that, but can I send you the 15 ties I don't wear and let you put them in inventory? Because I want to clean them out of my closet," and we had started like that, but quickly, about 3 months in, we realized that about 80% of our subscribers were women. We had missed the target. We didn't miss the market. We thought it was the guys. It was really the women that didn't want their boyfriends or husbands going to work every day wearing the same 3 or 4 ties, and they enjoy the process of choosing them and selecting them, bringing them in. They would know if they had a special event coming up, and they'd pick a tie to match that event, and it's a great lesson on pivoting, on what we thought our whole marketing strategy was going to look like. We were off by 30 or 40%, but we were quickly able to pivot about March or April and get there, and so our first big break was being on The Today Show, and they had us in this section about these products for your man, and so from that, I call it "fishing." We took this one fish, and we kept feeding the bait to other people and we'd say, "Oh, I can't believe you haven't written about this business that was on The Today Show. You're the best fashion writer in North America." Marcus: Oh, my gosh. That's genius. Scott: We didn't tell them it was us sending them the email, and we started that way. We just kept building it, and we would send it to MSNBC or Fox Business, and, "Well, you're the most sophisticated and talented fashion blogger in all of the free world. I can't believe you haven't written about this product. You would love it." Scott: Then they would backchannel an email to us. [I 00:11:33] was like, "How'd you hear about us?" "Oh, I just got this email from one of my fans." "Oh. Well, we're thankful that you thought of us." Scott: Through that we were able to ... We launched in December. By June, we had flown to LA to shoot the episode of Shark Tank. It aired in November of that year. We had a huge growth in subscribership, and then we didn't get a deal on the show, but then we exited the next May to a group out of Manhattan, and the lesson I tell people there is, "Luck matters." I mean, we were just lucky we got on Shark Tank. There are dozens or hundreds of other innovative products. Like I said, ours wasn't particularly innovative. We took something that was working for women. We just applied it to men, but luck and timing really matter, so a lot of times people say, "Well, what do you think about this business concept?" You don't want to tell them it's not a good concept, so a lot of times you say, "Well, the timing's not right now, but when the market changes, or when your inputs change, then it may, or when people are willing to pay more for this product, you're going to be 90% of the way there, because you've already got the business model built. Put it on the shelf. Keep an eye on the market. Keep an eye on ... Track your inputs that are going to go into this business, and when you find that equilibrium, you can launch, and you'll be so far ahead of everyone else that then goes, 'Oh, well, this product is so cheap now, I should do something with it and make money on it.'" Marcus: It's really interesting to hear you talk about that whole experience, especially when you think of ... My sons and I watch, my wife, we all watch Shark Tank, so I actually was really kind of blown away when we saw somebody from Mobile on the show, because it's just ... You think of those ideas coming out of New York City or Chicago or LA, right? Marcus: Okay, but you talk about the Shark Tank is really being kind of a jumping point that enabled you to exit the business even better than if that had not happened, so it's almost like Shark Tank not getting the deal was, for an entrepreneur, right, for somebody that does have a price on that business that wants to exit it as quickly as possible, that that was a blessing, because it enabled you to kind of get that exposure that was needed in order to increase the valuation and move that forward. Scott: ... of the show and the shark, but we went into the show knowing that we were going to pitch the business the way we wanted to pitch it. We were going to be kind and conscientious to their suggestions, and we took a lot of their suggestions and implemented them over the 10 months it took for us to exit, but we also weren't willing to take a deal at any cost, but the show is really fascinating, because you're in there an hour, and then they edit it down to that 8 to 10 or 11 minutes that you get to see on TV, so going back to look and timing, I'm sure we said plenty of things that sounded foolish over an hour, and we said plenty of things that sounded smart over an hour, but we got a really good edit. We got a very fair edit that was an accurate representation of the hour we spent in there, and having talked to some other folks that have been on the show, that's not always the case. Scott: Yeah. They had access to these networks that most people in America didn't have access to. Malcolm Gladwell has a great book on that where he talks about the fortuitousness of timing. You look at NHL players, a great majority of them are born between January and March because the way that professional hockey works ... Is that right, or is it December? Scott: Is December the cutoff? Whatever it is, there's a cutoff, and if you make, if you just miss that cutoff, you now become the oldest kid in the group that you're participating with, rather than the youngest, and those are the kids that get the most attention. They're the biggest, the strongest. They keep making these all-star squads, and they keep elevating, but there's a ... I can't remember the math, but it's a huge difference. The book is Outliers by Malcolm Gladwell. Scott: Being born in a certain month is very determinative if you're going to make the NHL. Marcus: Interesting. All right, so you have quite a few things that you're working on currently, so why don't you tell us about your various pieces that you're putting together? Because I know you have the duck boat tours? Scott: ... and Seattle. Austin has some. Marcus: I've seen them in Austin too, yeah. Marcus: I've actually ridden ... That's my experience with duck boat tours has been in Austin, which was a fun, very fun experience. Scott: ... but what we do is, we'll be based out at Battleship Park, and it will be a 70-minute amphibious tour. We'll start at the park, then we'll splash down in Mobile Bay, we'll spend about 15 minutes out there in the Bay, telling wonderful stories about the 300 years of history we have here since colonization, and then we will tell you about the battleship as well, and what we want to do is, we want to encourage people to come see the battleship. There's a lot of people who are going to listen to this podcast who are locals that probably haven't been to the battleship since they were in fourth or fifth grade. You got to go back. You got to bring your family. It is a world-class attraction and is right in our backyard. We just take it for granted, because we're going back and forth all the time up and down the bayway and the causeway, so back to the tour, so you're going to come back out of the Bay. You're going to go down the causeway to the Mobile River, and you're going to splash in the Mobile River. You're going to go up the river about 15 minutes, and we partnered with the city so that we'll be constructing a ramp at the convention center. You will come out the convention center, and that location right there on the north side of the convention center is just steeped in history. It was originally called the Dauphin Street wharf. It is where, it was the hub of the cotton being exported out of the entire South from the 1830s to about the 1860s, and then it got transformed in the Banana Docks, where every banana that was coming into the United States was coming through that one port right there, that one wharf right there where Dauphin and Water Street intersect, right there, so then you'll come out, you'll take a left on Water Street, we'll go up and take a look at Gulf Quest, Fort Condé, make the loop onto Royal, see the history museum, the Exploreum. Left on Government, you go see the Carnival Museum, all the wonderful history we have to offer. Make a loop back on Dauphin, right down Dauphin through the entertainment district, right back down to the riverfront, 10 minutes downstream, back to the battleship on land. About a 70-minute tour, what we say is going to be the most entertaining tour in America. People say, "How are you going to do that?" I say, "People haven't been on every tour in America. They just have to be on the most entertaining tour they've been on," but we've got some great partners in this. The battleship, of course, is a huge part, and they see 400,000 people a year, and we can be this bridge to bring those people into downtown Mobile, which is also why it makes so much sense for the city to be on our partner on this, so we are really excited about it. We think it can be transformative for what we call entrepretourism. Most tourism in Mobile is based upon the backs of non-profits or governmental funding, and we really see this vision of turning what we say is going to be ... We think we can turn Mobile into one of the top 10 attractions in all of America. There are 53 million people that drive by our front door. We just got to start getting a few of them to stop. Once we become a 1-day destination, we can work on becoming a 2-day destination. Right now, there's nothing shameful about saying, "We want these 53 million people that are driving by to stop and give us a chance. Once we show them the things that we have, and we continue to build out this infrastructure, it will continue to build upon itself." Scott: Good. We'll be looking forward to having you. Marcus: ... the duck tours. Yeah, because I think just the, not only what it will bring to the entrepreneurism or just the tourism in this area, but just being able to see the city in a different light and understand a little bit more about the historical context, and also just ... I mean, it's just cool to be able to get in the water in a big old amphibious boat. Marcus: I mean, it's just fun. Scott: Well, we are an international city. We were created as an international city. Now, we don't really think of ourselves that way until very recently with the addition of Airbus and Austal, but that is just a reinvention of what we have always been. The reason that this city became what it did was because of its location on the river, because of the Spanish exploration, is they were trying to find El Dorado, right, so then once the Spanish began their process, the French come in, and the French want to make this a foothold into French Louisiana, so we had a real live Game of Thrones here, right? You think about the TV show, that's what this was. You had the Spanish and the French and the British and the native populations that were all very, very interested in controlling the river, in controlling the resources. We have Fort Condé down here on Royal Street, all right? It's a recreation, it was built in the 1970s, but the interesting thing about that is, when we call it Fort Condé, we really shortchange what it really is. When the French controlled it, they called it Fort Condé, but then the British take over, they call it Fort Charlotte, and an entirely new culture takes over. When the Spanish take it over, they call it Fuerte Carlota, and there's an entirely new different culture. There's lots of these different readings when you look at what life was like in Mobile in the 1830s. It was not uncommon to go to the market and hear people speaking French, speaking Italian, speaking Spanish. As the cotton trade really begins to blossom, pardon the pun, but as that begins to take off, you have people from all over Europe that are moving to Mobile to become the brokers for their home countries, because that's where most of the cotton was going, was to Europe, and so if you think about the history of the city, we are very unlike the rest of the South. We have this giant melting pot of influences and it's really something fascinating that I've learned is, we've studied trying to build out this tour, but I think it's something that tourists will really love to learn, but if Mobilians, or people from the area, want to get on board and learn about these things, there's nothing that'll make somebody more exciting than playing the Game of Thrones theme music as you're talking about the French and the Spanish and the British fighting it out, but that's really [what it was 00:25:22]. Scott: I told you we were going to have the most entertaining tour in America. Marcus: That's awesome, so do you ... I also know that you're the founder of Positive Press. Marcus: Why don't you tell us a little bit about that? Scott: The goal of Positive Press is to change the tone of conversation in our community, and we're just this little digital publishing thing right now. We have a website and social platforms, but what happens is, there are these wonderful things that are taking place in our community, and traditional and mainstream media don't have the time nor the inclination, a lot of times, to cover these stories. Well, there's something called the halo effect and the horn effect. Not to get too psychological, because I just read this stuff, I don't make these studies, but the horn effect is when your brand is consistently associated with negative imagery, subconsciously the public devalues your brand. They don't even mean to do it. We started studying all this and learning this when I was the executive director of The Grounds. We had the Greater Gulf State Fair. We were trying to turn it into the cleanest, most family-friendly event in America. Well, we would run these ads, and it would be next to murder, mayhem, terrible thing that happened. Well, what the public is subconsciously doing is, they're saying, "Here's an ad for a fair. Here's something terrible that happened. What could happen to me at the fair? Could I get robbed? Would a ride break? Am I going to have something tragic happen to me," and so what we asked them, we said, "Well, could you just place our ads next to positive stories?" They said, "Sorry, we can't do that." I said, "Well, of course you can. [Can you 00:27:01] just place us next to negative stories?" "Sorry, we can't do that." We did our own independent research, and what we found was, about 96% of the stories were negative, so of course they couldn't, because there was no inventory of the stories, so we decided that we were going to create a place where you would never get burned by the horn effect. Well, what also exists is something called the halo effect. When your brand is consistently placed next to positive imagery, the subconscious of the public elevates your brand, because you're consistently placed next to positive imagery, and so we want to change the tone of conversation in our community, and only talk about positivity. Did you know, and the mayor may have covered this when he was on your show last season, but in 2015, we had the second fewest murders we'd had in 30 years in Mobile. Statistically, you are safer today in Mobile than you have been anytime in the past 30 years, but do most people feel that way? Right? Really? Scott: Because that's the information that we're being inundated by. Marcus: The violence sells, and so that's what they put the emphasis on, [but 00:28:03] it is true. Scott: That's no judgement value on anyone else's business model. That's just something that we wanted to create where we said that we want to speak positively about our community to our community and make the community feel good about themselves. We want Mobilians to fall back in love with Mobile. Scott: What starts to happen is, 2 principles of selective perception and confirmation bias. If you are inundated with negative stories, you will start to find the negative stories. That's the selective perception. All right, so the example I use is, if I tell you that a red Hyundai is the most popular car on the road today, you're going to go, "Ah, I don't know if that's true or not," but every time you see a red Hyundai, you're going to notice it. Then you're going to start seeing more red Hyundais and you're going to say, "You know what? Maybe red Hyundais are the most popular car on the road. Maybe Scott is right." That's the confirmation bias. Every time you see a red Hyundai, it starts to confirm this opinion you have that I have placed upon you that red Hyundais are the most popular car on the road. Same thing can happen with positive stories. We feel like people whocread our content start to notice other stories, and we know this because they start sending stuff to us. They say, "Well, did you know about this?" We didn't know about any of those things, but they have now noticed them, because they are seeking out positive content, and then that's the selective perception. The confirmation bias is, "Oh, you're right. I did see that thing that was really positive, so maybe there are a lot of positive things going on in our communities." It works the same way for negative information as it does for positive information. You will find that information, you will notice it more, it will confirm whatever previously held opinion you already had. Marcus: I know that you have some insight, some of which you can share, and some of which you can't, about business in Mobile. I mean, what do you see, over the next couple of years, taking shape? Scott: Yeah. We talked a lot about timing and luck. We would not have done this duck boat venture if the timing would not have been right, and this administration has created the world that makes this venture something we want to pursue. In fact, this duck boat thing began as a mayoral initiative. The mayor brought a consultant to town who we put in touch with us, and said, "This is really something that Mobile needs. What do you think," so I got to give Mayor Stimpson the credit for creating this world. I think what you're going to see over the next 3 to 5 to, really, 10 years, is a renaissance of downtown. You're going to see tourism explode and is not going to be solely because of carnival. Carnival's going to help a lot when they put 5,000 extra tourists downtown a week. That's going to make a big difference, but you're going to see further entrepreneurial activity in the tourism space. It's a series of dominoes. Once you get the first one tipped over, things will start to continue to grow, so there's 400,000 people going to the battleship, they're not coming into downtown Mobile. We think we can put 100,000 of them on a duck boat in year 1, in the first 12 months. That is 100,000 new people that will be driving by the front doors of businesses in downtown. We will have 70 minutes to tell the story to these guests, to explain to them why they should spend more time in Mobile and do the things that they do. Well, if we can get a small percentage of those people to then visit the attractions, the hotels, the restaurants, that will start to feed on itself, and people will tell other people, "Oh, you know what? Mobile, we had a great time." 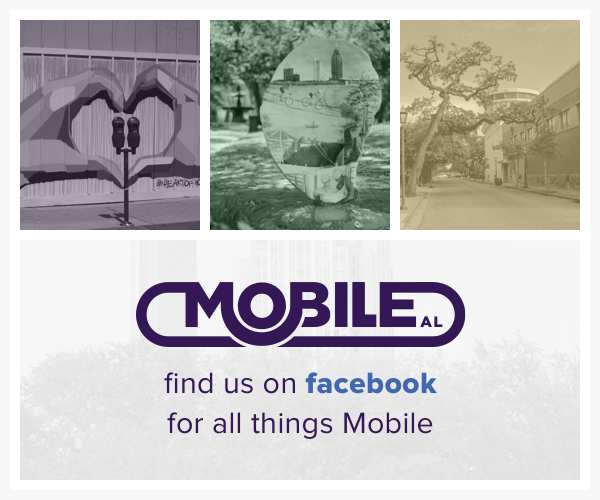 "Well, Mobile? I've driven through there." "How many people have you ever talked to?" They'll say, "Mobile? Yeah, I've driven through there." Scott: What they mean is, they went down 65 or 10 on their way somewhere else. We can create a world where those people begin to stop and stay, and then it becomes a self-fulfilling prophecy, as we tell them what a great attraction we can be for their families. Business-wise, I think you're going to continue to see innovation just really grow. There are so many pockets of innovation in our community, and the really cool thing is, they're all starting to work together, and saying, "You do your piece really well." "Oh, well, you do your piece really well." Well, great.Everybody gets to kind of build out a niche, but then all work together. Mobile is such a community of people who really want to help one another be successful, and I think in a lot of cities, you don't necessarily see that, but I think especially amongst the people under the age of 40, really under the age of 45 or 50, you're starting to see this, kind of, idea of what I like to say is increasing the velocity of change. You have to increase the velocity, you have to change at a much faster pace than what is typically organic, and so, you have to be intentional and purposeful about linking up with the other people who are doing really cool, innovative things, because you can leverage each other's velocity. Marcus: Yeah, it's one of the great things that I'm being completely selfish in this podcast, just in general, not this one episode, but in doing this podcast, is that it has been amazing getting to sit down with people that are bringing that change, so immediately, I think of Grant. He's just one of those guys where he wants to see something changed, and he's just, by gosh, he's just going to change it. Marcus: Oh, really? I did not know that. Scott: ... have happened, because you have to ... What I believe is, when you build out a team, you have to find people that augment your skills, okay? I have decent self-awareness, meaning that I know what I'm not good at, so then you surround yourself with people who are good at those things, and then I think there's this myth of the solo entrepreneur, right? The more you can surround yourself and your team with people that can drive the train at 1,000 miles an hour, the better off you're going to be. I always say I'd rather be a team, a part of a team of something great, rather than in control of something small. Marcus: Yeah. It's really interesting. I didn't realize that they were partners with you, and that's cool. One of the questions I like asking people is if you were talking to someone that wanted to be an entrepreneur, what's the one bit of wisdom that you would impart to them? Maybe they haven't taken that first step, they haven't jumped off a ledge, they ... What would you say to them? Scott: I think the first thing you got to start doing is learning about what it really means to be an entrepreneur. Find some guys online who are doing it, and learn from them. Gary Vaynerchuk does a great job of that. 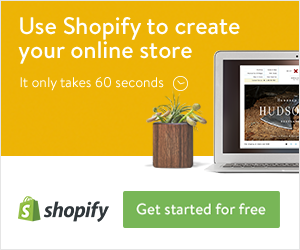 Grant Cardone does a great job of that, but Gary V talks about, "What is your 7 to 2?" You don't have to be an entrepreneur to ... Don't quit your day job. Start from 7pm to 2am, when your friends are out going to see movies, or going to the ball game, or ... If you can get that done, then you can go back to what we talked about, with bootstrapping a business, and you can bootstrap that business while keeping your day job, and that will totally reduce the amount of stress that is involved in starting a company or being an entrepreneur. Second thing I would say is, if you have a significant other, they have to be onboard. They have to be a part of that plan, because if they don't believe in it, 1 of 2 things is going to happen: The business is going to fail, or your relationship is going to fail, because you can't ... It's too hard to do it if you don't have a significant other that supports the plan. Those are really the 2 things, know you're getting something from [it or not 00:36:47]. Marcus: Even if they do support it, expect some road bumps. Marcus: Being an entrepreneur is not an easy road. I don't know if I've mentioned this in this podcast, but I know, I think I mentioned it in the last one, where if you knew everything that you needed to know, if you knew everything about running a business that you needed to know, then you would never start down that path, right? Marcus: ... rinse and repeat. Scott: ... evaluated experiences of failure. People always say, "Oh, you learn from experience." My friend [Brad Good 00:37:44] always says, "No, you learn from evaluated experience." If you don't evaluate how that experience went, you're not going to learn anything, but failure, to an entrepreneur, is a learning experience. "All right, let's not do that again. How can we pivot and do something different, or do it better?" If you just have a job and you go to work, and your boss tells you, "You failed on a project," that feels entirely different to an employee of a company than it does to someone who is trying to create something new, and who's trying to innovate. Marcus: Goofing off in front of the TV. Scott: Yeah, you can have the TV on, but start on your hustle, whatever your hustle is going to be. Go and start it there, and if you don't want to stay up until 2:00 doing it, you probably don't need to do it, but if it's something you're passionate about, and you go, "I've got to go to bed, because I got to get up and go to my day job tomorrow," and you're staying up until 11:00, 12:00, 1:00 doing it, then maybe it's something you should pursue further, but if you're just looking for an easy way to make a few bucks and hang out, there's easier ways than this. Marcus: Right. What are the last 2 books that you've read that you found helpful? Scott: I read a lot, and I read a lot in pieces. Right now, we talked about the book Mobile River by John Sledge. That's instrumental in what we're doing. I always refer back to Carnegie and How to Win Friends and Influence People. You go back to that all the time when you're trying to find a pivot point, but another one that I really love is called Creating Magic, and it is written about how Disney does its guest service procedures. What is that like? Everyone feels like, "Disney's this magical place where everything is just ... Happens." It doesn't happen, it's highly organized, highly strategic, and that's what we want from this tour. When I tell people we want to create the most entertaining tour in America, I don't mean outside of Disney World or Universal. I mean with Disney World, with Universal. That is the level of tour we want to create. It's a really high standard, but if we hold ourself to a lower standard, what's the point? Marcus: Right. I mean, you shoot for the highest mark that you possibly can, even if you ... Was it at the young professionals where somebody said, "If you even just have a target that you are shooting at, then you're more likely to hit something, but if you don't have those goals, then ... " I may even be parroting your words back to you. Scott: That's right. I don't know, nothing ... Very little of what I say is original. Scott: You take adaptations of what everyone else has said, but that's right. You shoot for the highest standards you can. If you fall a little short, you're still well above just trying to be the best tour in Mobile or the best tour in Alabama, or whatever you're trying to do. Scott: ... because I like spending time talking to people like yourself, having these conversations, where we dream big dreams, and have these visions of what the world can be, and then go, "Ah, now how do I create a business model around that?" I probably have around 10 or 12 business models that I'm working on, and it goes back to, the timing's not right for a lot of them right now, or the cash flow is not right for a lot of them. There are some great ideas that are out there, but you have got to be able to fund them, and cash is king. You can't limp into a business with just a little bit of liquid on hopes and dreams that it's going to make it, but really, other than those things, I have a few daughters. I got a 6-year-old, a 3-year-old, and about to have a newborn, and spending time with them, their hobbies are what I enjoy. The things they enjoy are the things that I like, too. Marcus: That's really cool. Tell us where people can find you. Scott: I can be found all over the internet. I love Facebook and social media. I subscribe to Grant Cardone's 10X Rule, just post the content out there. It doesn't matter. Not everyone's going to love it, but you're not making it for everybody, they don't have to. They find me personally on Facebook, they can go to gulfcoastducks.com, or facebook.com/gulfcoastducks, positivepressmobile.com, or facebook.com/positivepressmobile. We're very much a Facebook town, rather than a Twitter town, so I'm not too big on Twitter. I follow some national stuff on Twitter, but I would love to connect with anybody who wants to connect all the time. Scott: I appreciate you having me on. The only final thoughts that I really have is that if someone wants to be an entrepreneur, just get started. Just start down that path of innovation. Marcus: Take that first step. Scott: Just start doing something, and don't quit your job today. Start building that thing up until you're ready to bridge into your job, and it's still going to be a leap. You're still going to go, "Is now the time? Is now the time," and one day, it will, but just get started on something. Marcus: ... but if it is really something that you are supposed to do, then you really just have to kind of jump into it whole hog, and you either sink or swim, and if you sink, then you just jump out and you get, you dust yourself off, and you either make a decision, "Well, that one didn't work, I'm going to try something else," or you go find a job working for somebody else. Scott: That's exactly right. Somebody asked me, before we started the ducks, they said, "Well, what are you going to do if this doesn't work?" I said, "I guess I'm going to get a job." That's the answer. If it doesn't work, you go get a job and you reset yourself, and come up with another idea, you try again. Marcus: If it succeeds, then, hey, man, that ... It's awesome. Scott: You're off to the races. Marcus: You're off to the races, yeah. Marcus: Anyway, I appreciate your willingness to sit with me and share your journey as a business owner and entrepreneur. It has been really great talking with you.